Democratic presidential candidate Kamala Harris said Sunday that those in power are trying to turn people against each other, which she says is "not our America." 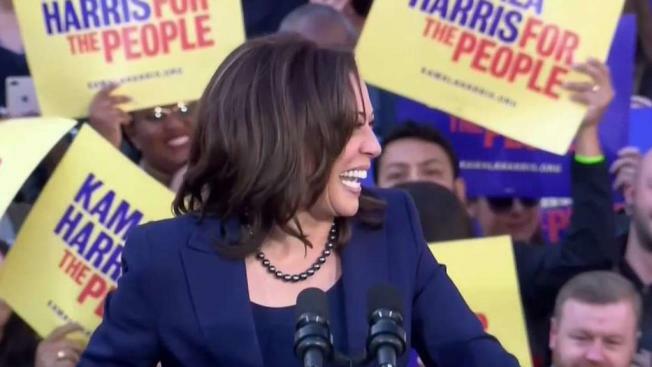 Harris, a first-term U.S. senator who announced her candidacy last Monday, rallied supporters outside City Hall in Oakland, her hometown and where she served as a prosecutor before becoming the state attorney general. The event was the formal kickoff for her campaign. "We are here because the American Dream and our American democracy are under attack and on the line like never before," she said. "And we are here at this moment in time because we must answer a fundamental question: Who are we? Who are we as Americans? So, let’s answer that question to the world and each other right here and right now. America, we are better than this." Harris also said that racism, sexism, anti-Semitism, homophobia and transphobia are real in the U.S. "They are age-old forms of hate with new fuel. And we need to speak that truth so we can deal with it,"” she said. Harris cast herself as the kind of leader who can unify the country and would fight for the needs of all Americans. "I’m running for president because I love my country. I’m running to be a president by the people. Of the people. For all the people," she said and echoed the words she has used in courtrooms and has adopted as her campaign’s slogan: "My whole life, I’ve only had one client: The people." The daughter of immigrants from Jamaica and India, Harris entered the race on Martin Luther King Jr. Day. Campaign aides say she has drawn inspiration from Shirley Chisholm, who in 1972 became the first black woman to run for president from a major party. If Harris were to win the White House, she would be the first African-American woman and first person of Asian descent to be president. Her first news conference as a candidate was on the campus of Howard University, the historically black college in the nation’s capital that she attended as an undergraduate. On Friday, she was in South Carolina to speak to members of the Alpha Kappa Alpha sorority, of which she is a member. Harris’ campaign is expected to highlight her career as a prosecutor as part of her rationale for seeking the presidency. Harris was the first black woman elected district attorney in California, as well as the first woman, first African-American and first Asian-American to hold that job. Some of her tenure as attorney general, particularly relating to criminal justice, has come under early scrutiny. In her Oakland speech, Harris said she sees this year as an "inflection point" in American history and that she is best positioned to unite a divided country. 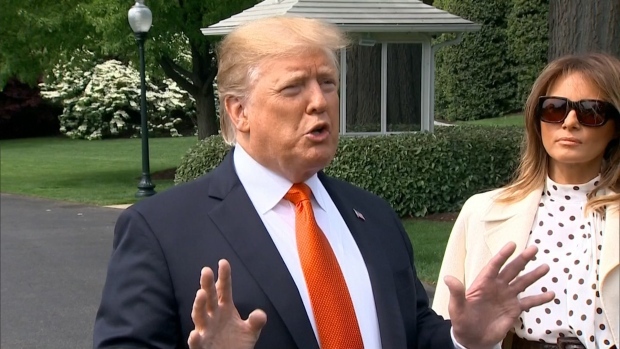 "Even though we have powerful forces trying to sow hate and division, the truth is that, as Americans, we have much more in common than what separates us," according to her prepared remarks. After the rally, Harris planned to her first trip to Iowa as a presidential candidate. In the weeks before last November’s elections, Harris traveled to the leadoff caucus state to campaign on behalf of Democrats, and also visited other early-voting states. Harris’s campaign will be based in Baltimore and led by Juan Rodriguez who managed her 2016 Senate campaign. Aides say the campaign will have a second office in Oakland.